Windex® Original is America’s #1 glass cleaner. 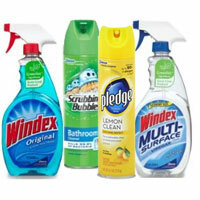 Trusted by generations for its famous streak-free shine, Windex Original cleans and shines glass, mirrors, and more! Thanks to its patented ingredient, Ammonia-D®, Windex Original Glass Cleaner starts working on dirt and grime even before you wipe.